It will soon be time to start organising your bonfire night. Fireworks make any kind of event exciting and dramatic, but they can cause a nuisance to your neighbours and the surrounding areas. And they are of course dangerous in the wrong hands. There is a law relating to letting off fireworks that you should know before you start planning your bonfire night. It is illegal to let off fireworks between 11pm and 7am. This curfew is later for some dates where fireworks are traditionally used, such as Bonfire Night, and some religious and cultural occasions, such as Diwali night and New Year’s Eve. 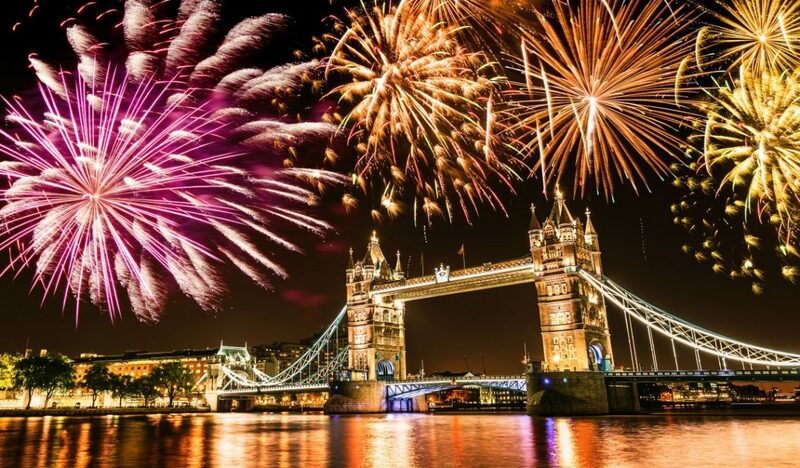 On Bonfire Night the curfew starts at midnight and on New Year’s Eve it starts at 1am. There are also rules and guidelines that you should be aware of when organising a firework display. Let your neighbours know that you are planning a firework display so that they can make arrangements to keep their pets inside. Have the display away from residential buildings and in open areas so not to disturb people. If you have really noisy fireworks try to let them off earlier in the display. Clear up after you, making sure you don’t leave any rubbish behind. How big is your display going to be? This is important because the larger the display the more likely you are going to need a specialist to advise you. 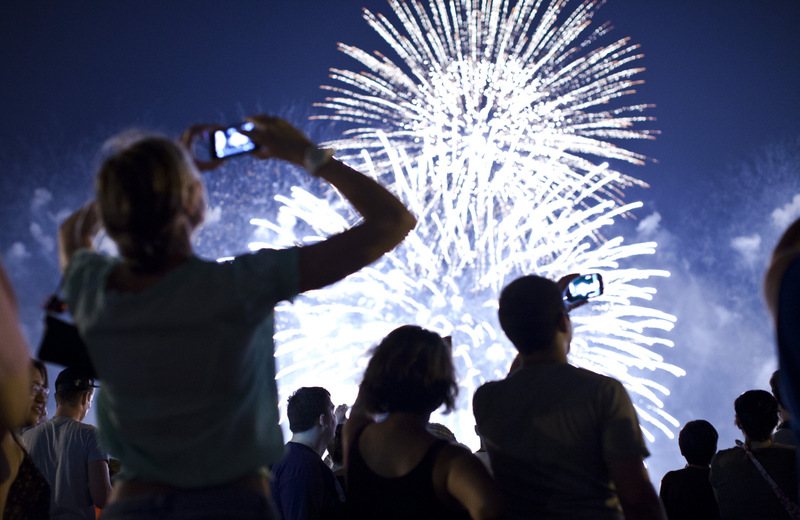 Large displays will have to take into consideration the site, the distance of the fireworks to the crowd, exit points and access points in case of emergencies. If your night is small-scale then you do not have to be so concerned, but you do still have to take these factors into account. The size of the display will again factor into this, so, if it is a small party in your garden, keep the fireworks away from buildings, tall trees and in a relatively open area. Make sure your guests are well away from the display and that they can quickly exit the area if needed. Larger displays should also stick to these rules but include access for emergency vehicles. If the display is for a community, take into account the amount of people you are expecting and ensure that if more turn up than expected you can still accommodate them. If there is any doubt it might be worth ticketing the event. If your display is for the public you have to follow the Firework Code. You should also get in touch with your local council and inform them of the date, time and whereabouts of your display. You would have to show a risk assessment strategy. In your risk assessment you would need to show how quickly you can get people off the site, how you would address them in a calm manner to get them moving without panicking and whether or not you would have St. John’s Ambulance present. You may also have to close down roads and you might even require a permit or a licence if you set off particular types of fireworks. You may even want to notify the police so that they are aware of your event. This is not only to check if it is going to rain on your night, but to see how the wind is blowing. 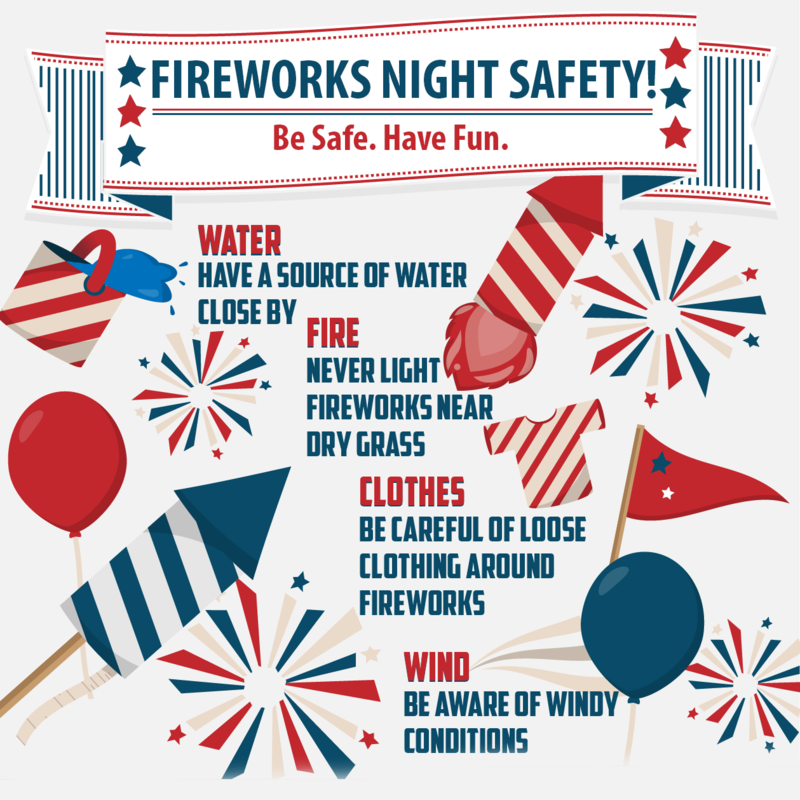 When fireworks go up they have to come down, and they must fall into what is called a safe fall-out zone. This is typically calculated by the wind at that time. If the wind is blowing towards your guests then they could become injured. If you are running a public display it is probably best to hire a professional firework company. This is because they have different kinds of fireworks that fire lower in the sky and therefore can still be used in prevailing winds. You should hire barriers to keep people our of the fallout zone and away from the bonfire. Most firework displays now have music accompanying them, this gives an extra exciting element to the evening. It is best to coordinate the music and the fireworks so think carefully about how they can complement each other. You want to start off big and end with a dramatic finish. Keep the best fireworks until the end and use the music to signpost to your guests that the event is coming to an end. Don’t use music that no one has ever heard of either. You might love German techno, but it is likely that your guests won’t have heard of it. So use well-known pieces that everyone knows and likes. Will you offer food and drinks? Some people go to a fireworks display purely to see the display, but others like to make an evening of it. Having food and drinks before or after makes it last much longer. You can offer a barbeque-style buffet, where you serve burgers and sausages or, if the event is larger, hire some catering equipment or even catering vans which have everything needed including the food. Remember, if the event is going on for several hours you might need to hire out portable toilets as well.